As if our exclusive Electric Blue Push-Button Corkscrew weren't amazing enough, our new edition not only extracts and releases corks in seconds but features a built-in infrared digital thermometer that, with the touch of the sensor, reads the wine temperature directly through the bottle. In a cool Deco design on a sleek charging base, blue light fills the corkscrew window when the cork is in motion or charging. 8-hour charge. 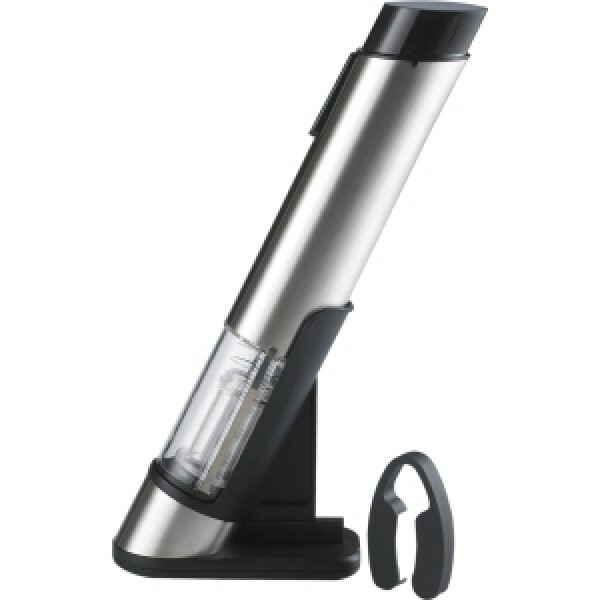 Includes electric corkscrew, foil cutter, charging base, A/C adapter and complete instructions.